We’d love your help. Let us know what’s wrong with this preview of The Autobiography of Theodore Roosevelt by Theodore Roosevelt. Theodore Rooseveltâ€™s writing has the same verve, panache, and energy as the life he lived. Perhaps no president in U.S. history—not even Jefferson—had so many opinions and intellectual interests, believed in so many causes, or worked so hard to translate his beliefs into action. A hard-headed idealist, an unabashed interventionist, a crusader on behalf of environmental preservation and against big business â€trusts,â€ he was also a writer of uncommon grace and passion with a gift for the memorable phrase. His autobiography, one of the two or three finest ever written by a U.S. president, abounds in exciting episodes of personal transformation and insights into the bitter politics of the day. Roosevelt was a sickly youth who steeled himself for a life of vigor, growing up surrounded by wealth in nineteenth-century Manhattan but vacationing in the West, where he rode with cowboys and learned to revere and study the natural world. His book describes his early failures in his political career and his ascent from the New York City police board to assistant secretary of the Navy where he advocated war with Spain, to his brief stint and public renown as a Rough Rider; and on to the governorship of New York, vice presidency under McKinley, and finally the presidency itself. Elting Morisonâ€™s new introduction analyzes what Roosevelt has included—and not included—about his many political conflicts, his role in the acquisition of the Panama Canal, and the deaths of his wife and his mother.As everywhere in his writing, the personality of T.R.—alert, voluble, forceful, compassionate—shines forth from this book, which remains a singular study of a dynamic and, in many respects, exemplary man who was also a key figure in the Age of Reform. To ask other readers questions about The Autobiography of Theodore Roosevelt, please sign up. This is a brilliant book, and Roosevelt creates a wonderful autobiography. This is required reading for most in the area of American History, begining of the 20th century, and late 19th century. This is wonderful primary source material. This book was ridiculously good. Roosevelt was a one-of-a-kind. His 'speak softly and carry a big stick' rhetoric won him the reputation of a war monger but the fact is that in his 7 1/2 year term as president (he took over for McKinley when he was assassinated 6 months into his presidency), America was totally at peace and not one round was fired at an enemy. - He lived in Oyster Bay, Long Island. - He started life asthmat This book was ridiculously good. Roosevelt was a one-of-a-kind. - He started life asthmatic and puny. - He spent in the west driving cattle and working on ranches. - He led the "Rough Riders" in the Spanish-American war in Cuba and came home a war hero. This led to his being elected governor of New York during one of the state's most corrupt periods. - He won his second term election by a true landslide. - Has the first American to be awarded the Nobel Peace Prize; an honor he was given for brokering peace between Japan and Russia in the Russo-Japanese War. Not bad for a war-loving Republican!! - He authored more than 35 books. - He had a photographic memory. - He was frequently referred to as 'Teddy' but never to his face. He was called that by his first wife, who died young and he had a strong aversion to it. - 'Teddy' bears are actually named after Teddy Roosevelt. He was an avid hunter and outdoorsman and on one particular trip, he didn't bag any game. It's said that the well meaning guides had captured a bear and wanted TR to shoot it just so he wouldn't have to come home empty-handed. TR refused as it was totally unsportsmanlike. A cartoonist created an image of Roosevelt, shotgun in hand, turning away from a small bear tied to a tree. The image became so famous that children began to refer to small stuffed bears as 'Teddy's Bear.' And the rest is history. Reading his words was like stepping back 100 years in history. "Whether in national or in private affairs it is ordinarily not advisable to make a bluff which cannot be put through." Many of us don't recognize the fourth person on Mount Rushmore. Many more, knowing only the caricature he's become, don't know why Teddy Roosevelt is there. Reading his autobiography helps bridge that gap. Roosevelt was a Progressive. We who see the world through the lens of Democrat or Republican will not readily understand what that means. In our terms, Roosevelt was a liberal "Whether in national or in private affairs it is ordinarily not advisable to make a bluff which cannot be put through." Many of us don't recognize the fourth person on Mount Rushmore. Many more, knowing only the caricature he's become, don't know why Teddy Roosevelt is there. Reading his autobiography helps bridge that gap. Roosevelt was a Progressive. We who see the world through the lens of Democrat or Republican will not readily understand what that means. In our terms, Roosevelt was a liberal in domestic politics and a conservative in international, but even that falls far short of explaining him. He was an honorable and an honest man, not ruled by fear but filled with hope. He was famous for his short military career, yet just as proud that not a shot was fired by the nation during his administration. He confronted both big unions and big business, being the first "trust buster." He was an avid hunter, who was equally avid as a naturalistic. He read voraciously. This book is not for the casual reader: it is long and dense and heavily laced with the politics of the first decade of the twentieth century. Yes, and its self-serving and self-justifying. But, like the tale told by the "unreliable narrator", that bias makes the whole both more entertaining and more enlightening. It's laced with wit and quotable expressions. It also gives moderns a glimpse at the attitudes which moved our nation from unregulated freedom to the social contract which dominated the last century. "It is better for government to help a poor man make a living for his family than to help a rich man make more profit for his company." A very, if exhausting good read. TR's autobiography suffers from two problems. First, the author has an exceptionally high opinion of himself and his causes, and never acknowledges the slightest possibility of error in principle even when he acknowledges that his opponents were equally high-minded men. As often as not, he lacks that acknowledgement, though, which leads to his autobiography being a series of moments where he describes his awesomeness as awesome stuff happens while he does awesome deeds because he is a man and me TR's autobiography suffers from two problems. First, the author has an exceptionally high opinion of himself and his causes, and never acknowledges the slightest possibility of error in principle even when he acknowledges that his opponents were equally high-minded men. As often as not, he lacks that acknowledgement, though, which leads to his autobiography being a series of moments where he describes his awesomeness as awesome stuff happens while he does awesome deeds because he is a man and men have a duty to do things, whether awesome or otherwise, and his opponents are a conniving breed of milksops and do-nothings, else they are equally energetic but of thoroughly black character. Roosevelt lives opposed by a world of Shakespeare characters, whether Richard III or Falstaff. They are, of course, all overcome by our hero, for that is precisely what he is in this book - the hero of his own story. This would be, in its natural state, quite entertaining to read. This leads us to the second problem. Edmund Morris described in "Colonel Roosevelt" how Roosevelt's memoirs were written, or rather, dictated to a secretary who transcribed it. This worked well when it was just TR and the secretary, and when TR was telling anecdotes (though as described those get tiresome too, only occasionally leavened by a flash of self-deprecation). However, when he indulges his natural tendency to lecture, or when his wife was in the room, it turns well-nigh unreadable, leading to a page about capital punishment in the middle of the otherwise splendid little narrative of San Juan Hill. After reading H.W. Brands’s biography on Theodore Roosevelt, I knew that I wasn’t done with him. I needed more. And who better to go to than the horse’s mouth? At first, I simply read some of his speeches and his account of the Rough Riders, but then I found his autobiography and decided to take a big bite. As writers go, Roosevelt is engaging. It’s comforting to be able to recognize his own style and know that you’re not dealing with a ghost writer. That brash, sincere, and self-aware voice is n After reading H.W. Brands’s biography on Theodore Roosevelt, I knew that I wasn’t done with him. I needed more. And who better to go to than the horse’s mouth? At first, I simply read some of his speeches and his account of the Rough Riders, but then I found his autobiography and decided to take a big bite. As writers go, Roosevelt is engaging. It’s comforting to be able to recognize his own style and know that you’re not dealing with a ghost writer. That brash, sincere, and self-aware voice is no doubt the boomingly confident Teddy. Whether you agree with his politics and positions, Roosevelt will not be duplicated and will almost always demand attention. Conveniently, if he doesn’t grab attention, then you can skip to the next chapter, which will take off on a new subject that may be of more interest. Of course, my reading ethics do not allow such an approach, but it was kind of nice to know that once you had your fill of one stage of Roosevelt’s life or take on a particular issue, then you would be given a sampling of a whole new, unexplored area. Not surprising is the lack of information on Roosevelt’s involvement in the Progressive “Bull Moose” Party and his subsequent loss in the general election to Wilson. The only hint we get of that aspect of his life is his rebuttal to a piece that President Wilson wrote demeaning him and his party. As far as Teddy’s politics go, he offers a lot of sound advice for anyone who is a level-headed, moderate-leaning person. And if you were unsure as to how he felt about any sort of policy, specific or ambiguous, rest assured he will clarify for you. For the most part, I found Roosevelt to have an anchor of common sense when it comes to political standings--something that makes me envious when taking into account modern day politicians. Sometimes, he manages to simplify too much, and sometimes this unwavering man of principle is too quick to glorify his position as an absolute, when it is really just a matter of policy. But by and large, I will take a passionate man of principle tampered with common sense over a cool-headed man of opportunity driven by ambition. I was surprised at how well President Roosevelt wrote. With few exceptions, he kept my attention, and with good humor. Like most autobiographies, the book was partly a defense of his beliefs and actions. On periphery and personal character matters I agreed, but I was not convinced by his core political views, especially his "ends justify the means" defense of government overreach and his overstepping the constitutional limits of his office. But personally he appears to have been a courageous, li I was surprised at how well President Roosevelt wrote. With few exceptions, he kept my attention, and with good humor. This is an excellent volume. Roosevelt's autobiography is quite interesting, particularly how he describes his time out West as well as with the Rough Riders. It's also quite valuable because he gives an estimate of his own actions in office and defends them according to his principles. He does go into quite a bit of detail on several situations so it can be a bit dry reading at times. Included in this volume is "The Strenuous Life" a speech T. R. gave in Chicago. Absolutely fantastic and quite This is an excellent volume. Roosevelt's autobiography is quite interesting, particularly how he describes his time out West as well as with the Rough Riders. It's also quite valuable because he gives an estimate of his own actions in office and defends them according to his principles. He does go into quite a bit of detail on several situations so it can be a bit dry reading at times. Teddy Roosevelt died 97 years ago and spoke of his father as, "the best man I ever knew." Reading his autobiography, the president upon reaching the White House, "never took any serious step or made any vital decision for his country, without thinking first what position his father would have taken." Theodore's father taught Sunday School, contributed in founding charities for homeless orphans and newsboys. Proverbs 23:24 "He who fathers a wise son will be glad in him." "Muito melhor é arriscar coisas grandiosas para ganhar vitórias gloriosas – mesmo que estampadas pelo fracasso – do que se alinhar com aqueles espíritos pobres que nem aproveitam muito nem sofrem muito, porque vivem em uma penumbra cinzenta que não conhece nem a vitória nem a derrota". More of a memoir than an autobiography. While Roosevelt was a genius and a work horse it seems he couldn't get past the self aggrandizing in his writing. The book is quite inspiring and well worth the read. I'm about halfway through this amazing book. So far it is an amazing tale. I can't wait until I can sit down and finish it. This should be required reading for college students studying American history or politics. A captivating autobiography of the youngest President in USA's history. He certainly led a full life and one directed at fighting corruption, crime, ignorance, etc. The conservation legacy of Theodore Roosevelt is found in the 230 million acres of public lands he helped establish during his presidency. Much of that land - 150 millions acres - was set aside as national forests. Roosevelt created the present-day USFS in 1905, an organization within the Department of Agriculture. The idea was to con A captivating autobiography of the youngest President in USA's history. He certainly led a full life and one directed at fighting corruption, crime, ignorance, etc. The conservation legacy of Theodore Roosevelt is found in the 230 million acres of public lands he helped establish during his presidency. Much of that land - 150 millions acres - was set aside as national forests. Roosevelt created the present-day USFS in 1905, an organization within the Department of Agriculture. The idea was to conserve forests for continued use. An adamant proponent of utilizing the country's resources, Roosevelt wanted to insure the sustainability of those resources. A great historical overview filled with a treasure trove of details. Read for personal research. Overall, a good book for the researcher and enthusiast. It pains me to only give 2 stars to a book written by my favorite president, but "it was okay" is an honest and accurate assessment. I'm not into political history at all, and a large chunk of this book is long-winded descriptions of political things from 100+ years ago. Snooze. I skimmed over most of these chunks. It got too tedious after a while. The segments where Roosevelt is talking about nature and books were a complete tone shift, and I actually would love to read more of this sort of thing It pains me to only give 2 stars to a book written by my favorite president, but "it was okay" is an honest and accurate assessment. The segments where Roosevelt is talking about nature and books were a complete tone shift, and I actually would love to read more of this sort of thing from Roosevelt instead of political/governmental babble. It was remarkable to go from the snooze-fest of government to Roosevelt describing birds and telling entertaining stories instead. Much more fun to read. It was well read. But now I do want to go back and read it from a book, take notes, highlight stuff. It has too many great quotes to miss out on. Loved listening to it. 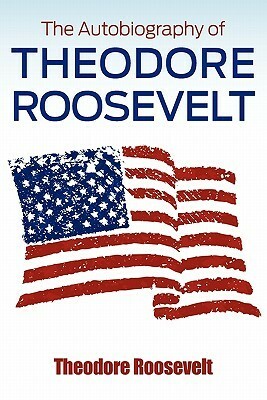 The book starts off with Roosevelt's early life experiences and references the American Civil War. I had never before read a book that talks about those experiences directly and of horse-drawn carriages. So it was an eye-opener right away. It goes through his life experiences and all the positions he held (public service and private). Fascinating. I was surprised that Roosevelt had accomplished so much. I did no know that he originally became president as vice president replacing a resident's dealth. He was very active. Very well read, multilingual, physically active, he even was a.cowboy for a while. He was very much a conservationist. In fact, he has been raised,in my opinion . As on of the best presidents and a real patriot. I realized while reading this that I don't read many formal autobiographies. I read this for a discussion group, and I really enjoyed it. I think it will make for good discussions. This is a great primary document and would be very informative to anyone interested in American history, government, or philosophy. There are a few descriptive chapters that are little over-detailed for my opinion, but when he makes a point about his ideas, he is very clear. He illustrates his thoughts quite well, and I realized while reading this that I don't read many formal autobiographies. I read this for a discussion group, and I really enjoyed it. I think it will make for good discussions. This is a great primary document and would be very informative to anyone interested in American history, government, or philosophy. There are a few descriptive chapters that are little over-detailed for my opinion, but when he makes a point about his ideas, he is very clear. He illustrates his thoughts quite well, and even if you don't agree with him, you can see his point of view articulated well. I did not like this book and would only recommend it to someone who either wants to know why President Roosevelt made specific decisions or someone studying early 20th century American politics. That said, TR is one of my favorite characters in American history. Parts of this book were fascinating: his early life, his time on a ranch in Nebraska, his love of nature, and his contributions during the Spanish American War. The rest of the book is a long winded memoir where TR justifies his policy d I did not like this book and would only recommend it to someone who either wants to know why President Roosevelt made specific decisions or someone studying early 20th century American politics. That said, TR is one of my favorite characters in American history. Parts of this book were fascinating: his early life, his time on a ranch in Nebraska, his love of nature, and his contributions during the Spanish American War. The rest of the book is a long winded memoir where TR justifies his policy decisions to future readers. A very interesting life. He grows up loving the outdoors, becomes a lawyer, enters politics, fights in wars, is a farmer, is a governer, is president etc. The amount of things Teddy gets up to is incredible. He sticks to his principles regardless of what others say about him. A really tough macho man who loves to read and cares about his family. What a guy, no wonder they put his face on a mountain. This book has changed how I view Teddy R and America. Seeing that things swing back and forth, that great people change this nation, suffer setbacks and that the forces of greed and abuse are never absent, but that there are always good and strong people out there that can and do reign them in makes me more hopeful about our country. An amazing read. I really enjoyed learning about the life and times of Theodore Roosevelt. He lived with gusto and his writing reflects that. He wants his reader to understand and appreciate his point of view. Though some accuse him of self aggrandizement, I just see someone who worked hard to do as he saw right. We should all work so hard! 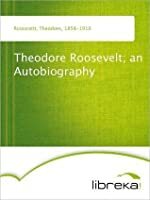 Theodore Roosevelt: An autobiography- first, description about being a sickly child and being educated at home, second, in spite of ill health, he took admission in Harward College, then law at Columbia School of Law. He participated in rowing and boxing at College. As an educated man, he participated in New York politics and was elected to New York State Assembly. I like reading about TR more than reading him write about himself. This one is pretty dry and often not all that personal. Much more of a diatribe about his views than about his personal experience. The best bits are when he is discussing being out in nature actually. Theodore Roosevelt, Jr., also known as T.R., and to the public (but never to friends and family) as Teddy, was the twenty-sixth President of the United States, and a leader of the Republican Party and of the Progressive Movement. He became the youngest President in United States history at the age of 42. He served in many roles including Governor of New York, historian, naturalist, explorer, autho Theodore Roosevelt, Jr., also known as T.R., and to the public (but never to friends and family) as Teddy, was the twenty-sixth President of the United States, and a leader of the Republican Party and of the Progressive Movement. He became the youngest President in United States history at the age of 42. He served in many roles including Governor of New York, historian, naturalist, explorer, author, and soldier (posthumously awarded the Medal of Honor in 2001 for his role at the Battle of San Juan Hill in the Spanish-American War).